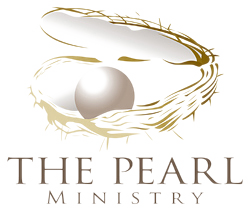 The Pearl Ministry desires for people to know God’s Word. Our hope is that anyone who reads our blog or visits one of our mini-conferences will see the Truth of God’s Word and apply it to their life. God has chosen to reveal Himself to us through His Word. If we want to know God, we must know His Word. We must read, study and meditate upon the Bible and see the glory of God. We must also know His Word that took on flesh (John 1). The only way for one to have a relationship with God and see Him for who He truly is through His Son, Jesus Christ. We are sinners and are separated from God, and our sin condemns us (Romans 6:23). We must know and believe that Christ has done for us what we cannot do for ourselves. Christ lived a sinless life and did not deserve death because He did not sin. Yet, He walked to the Cross and died in our place. 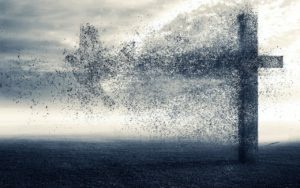 The punishment we deserve, Christ has taken for us. Thankfully, death could not hold the Son of God. By the power of the Holy Spirit, Jesus rose to life. The promise and hope given to us is that if we believe in Jesus, we will be saved (Acts 16:31). If we believe Christ has covered over our sin by His righteousness and Christ has taken our punishment – death, we will have LIFE! Do not delay any longer. Know the Word. Know salvation. Know LIFE! May our efforts help each one of us know God more fully. As we know God more intimately, may we be sanctified. Study God’s Word to know Him and make Him known.